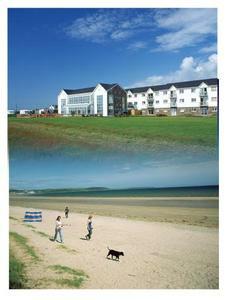 Quality Hotel Youghal Holiday Homes Cork. Holiday Cottages in Youghal, County Cork. Self Catering near a beach on the coast of County Cork, Ireland. 4 star Holiday Cottages in Cork, Ireland. Welcome to the Quality Hotel Youghal Holiday Homes Cork. These beachside holiday homes are a 5-minute drive from Youghal town centre and have free access to the Quality Hotel's facilities including the leisure centre, crÃ¨che and spa. For more information or to check the availability of this Self Catering in County Cork please click on the availability link above and below. The Quality Hotel Youghal Holiday Homes is in Youghal Cork, Ireland. The address is Redbarn Beach, Youghal County Cork.